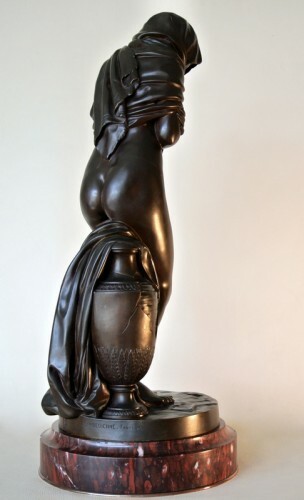 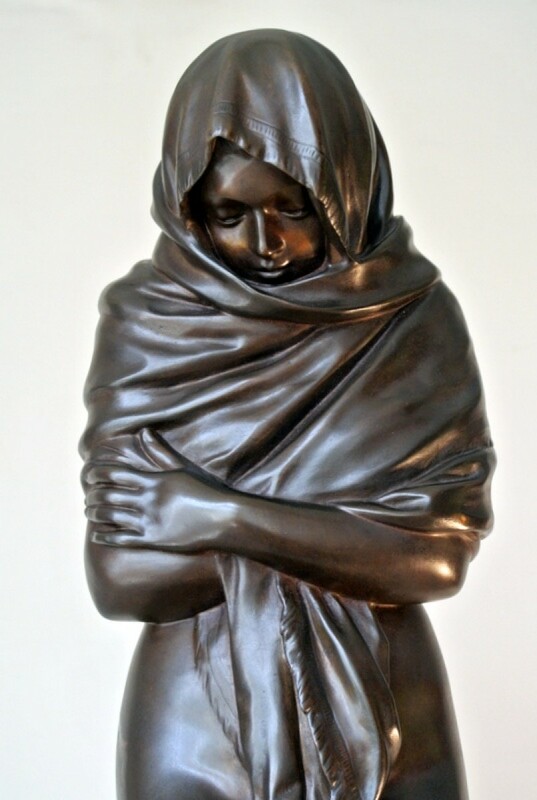 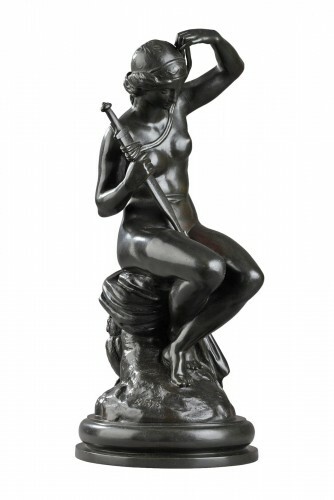 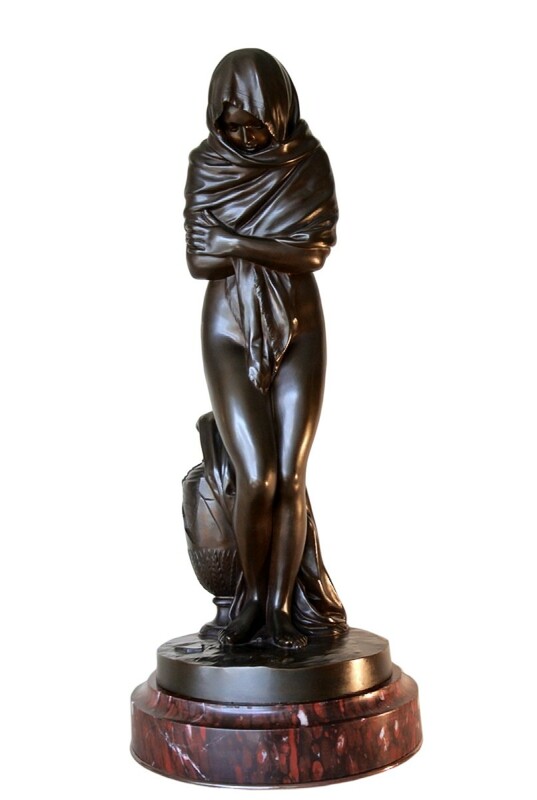 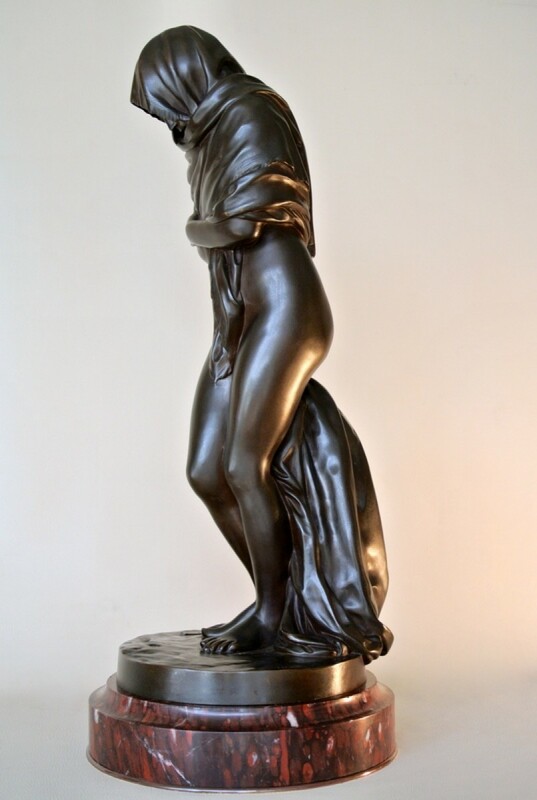 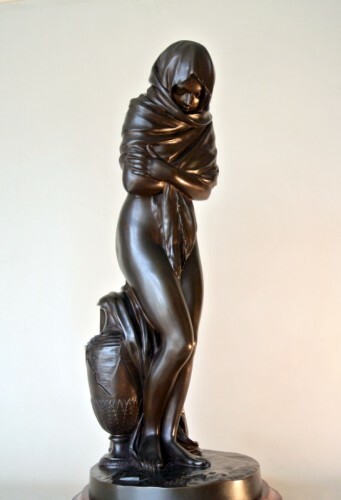 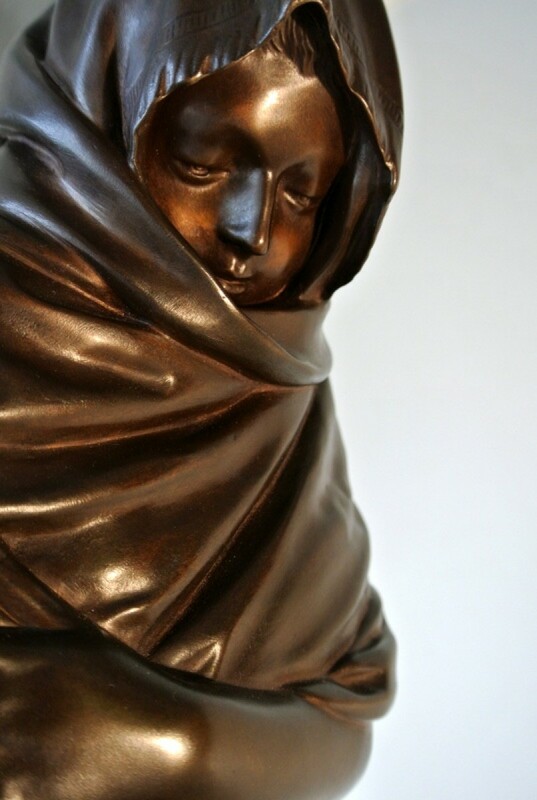 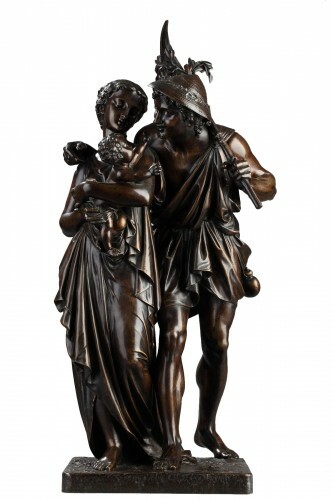 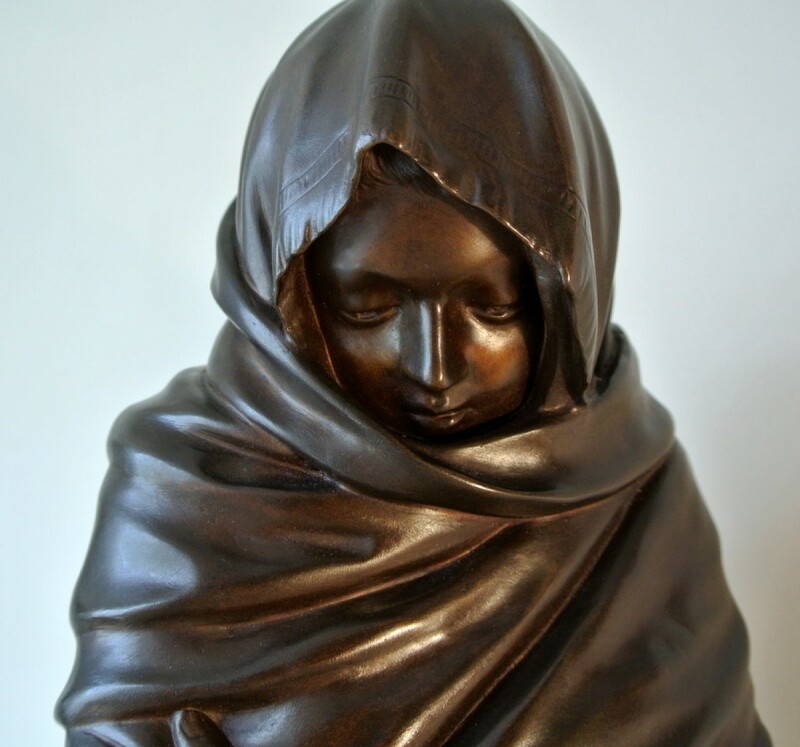 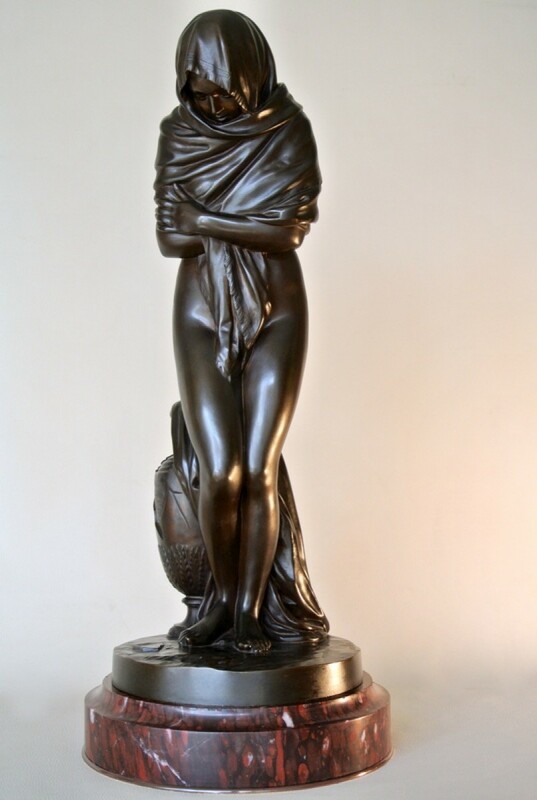 "La Frileuse or the Winter" Bronze allegorical statue after Houdon, produced around 1875 by Barbedienne Melter and editor, with mechanical reduction stamp Collas, according to the 18th century marble model. 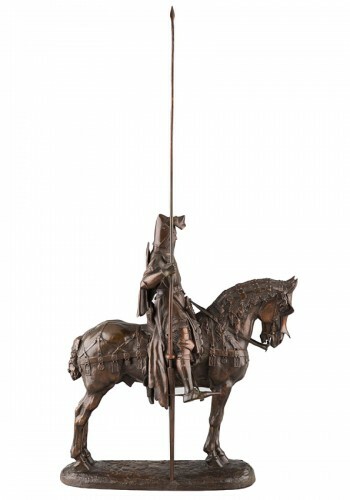 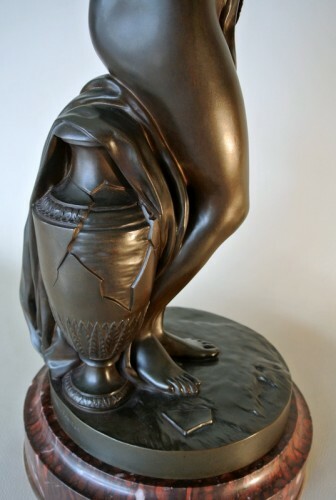 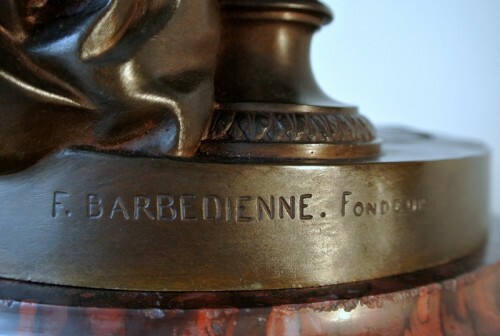 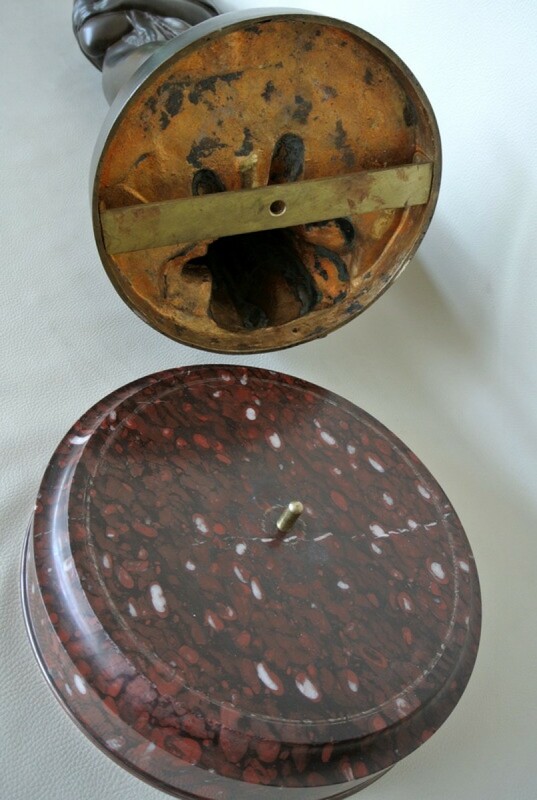 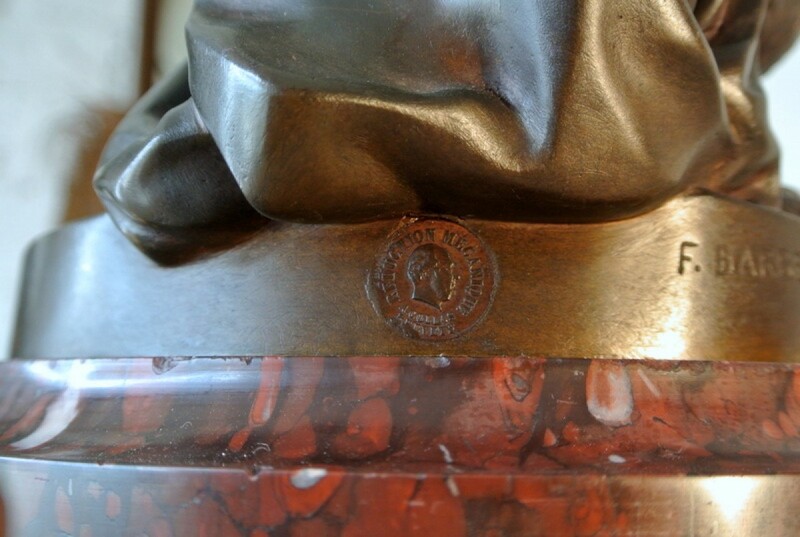 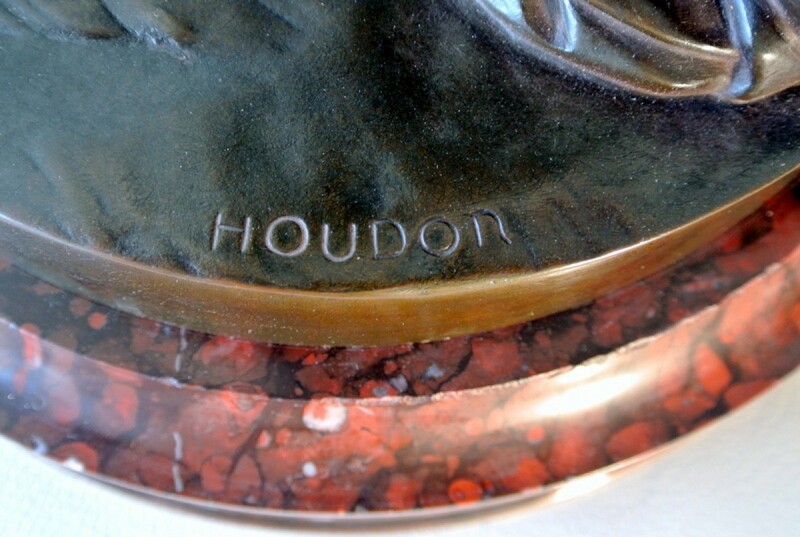 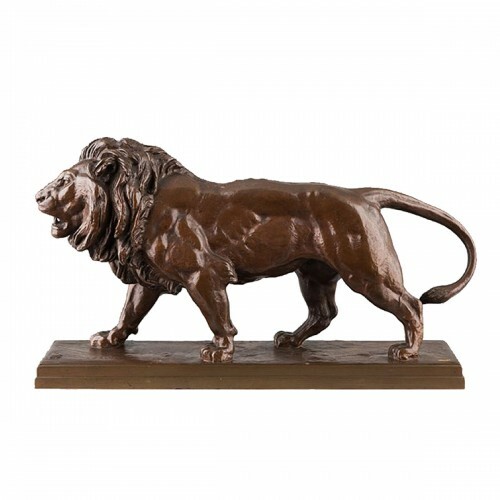 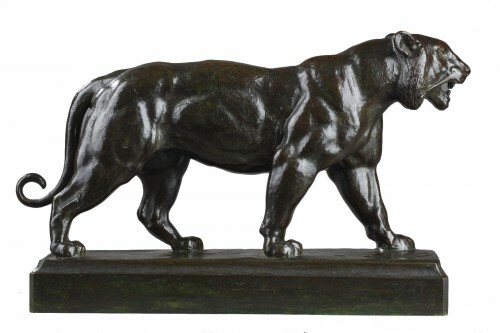 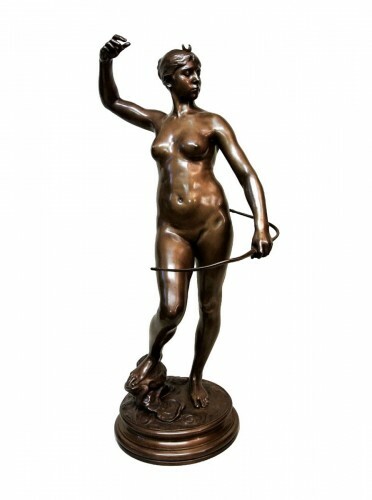 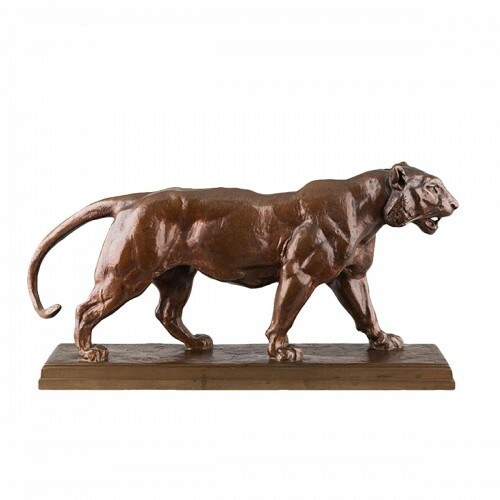 Beautiful satin brown patina of original (slight traces of wear) red marble base griotte with bronze counter-base, an axis for turning the statue on its base. 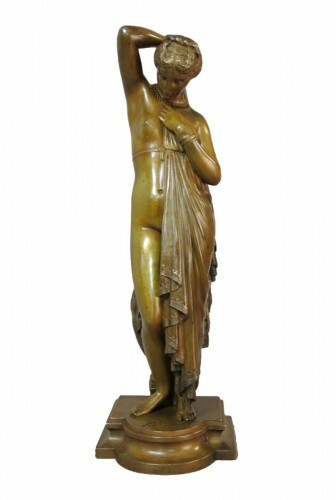 The total height with the bracket is 63 cm. 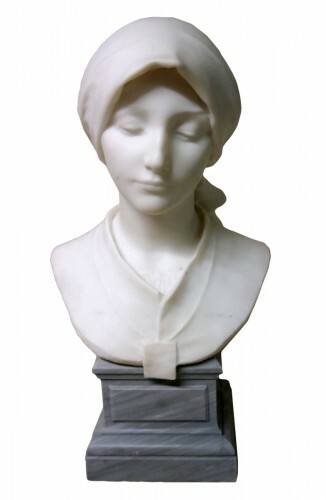 Jean Antoine Houdon was born in Versailles: 1741/1828 He is one of the greatest French sculptors of the "siècle des Lumières, in addition to his numerous allegories he is also famous for the bustling representation of the greatest figures of his time.